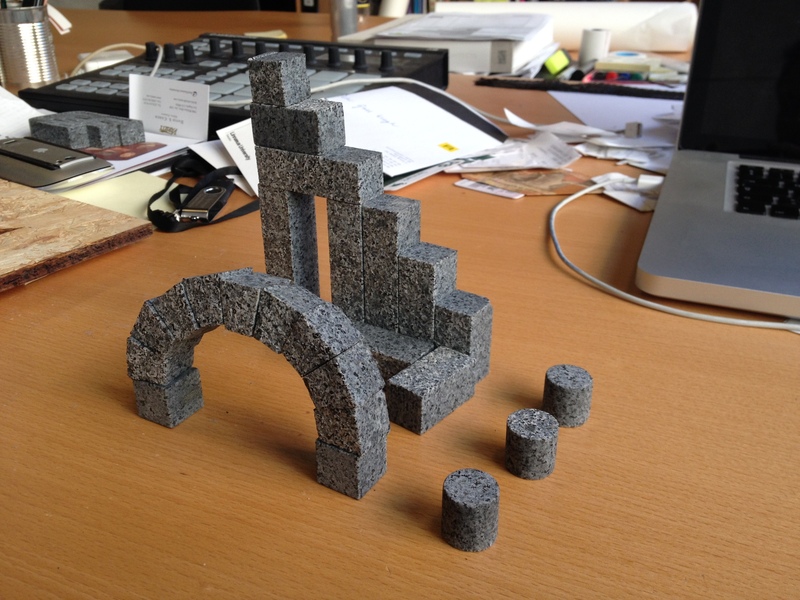 Box-O-Blocks are building blocks made from granite and other hard stone that are cut to precise measurements enabling architectural experiences. What does this mean? Children (of all ages) can build functional structures including free-standing arches using construction grade materials. Instead of reading about how arches work, children build and erect an arch, learn how forces translate (arches break when the lower bricks slide), and then cope with these challenges. These blocks are cut using a waterjet, which is a tool that uses a high pressure column of water and garnet sand to cut using erosion. The first set is pictured below, with more coming soon. If you have a request for a set, please contact us.